Now, what if you are not interested in selling? 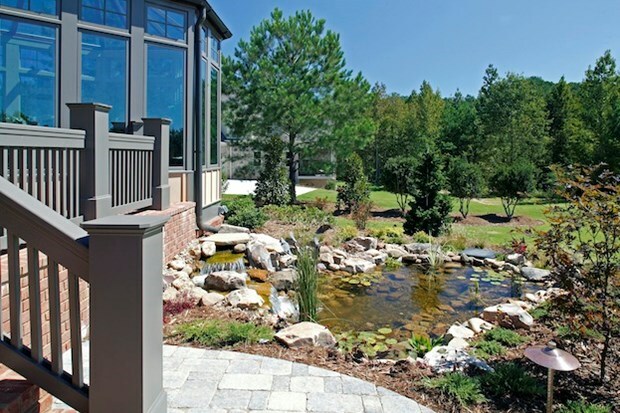 Well, you are about to find 20 landscape designs that will make your neighbors jealous of how good your home and your backyard look! 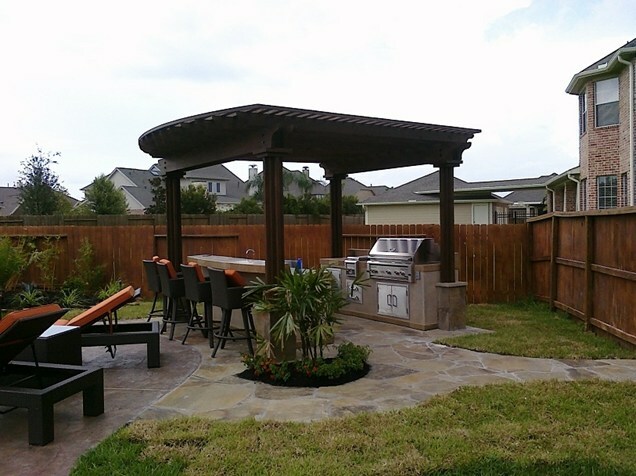 Let’s start with this outdoor kitchen. You need a yard of at least 80 sq. ft. to get this design done properly. If you are willing to get rid of the chaise-longs you will be fine with 50 sq. ft. There is nothing complicated about this design. Two patios made of natural stone for about $13 per sq. 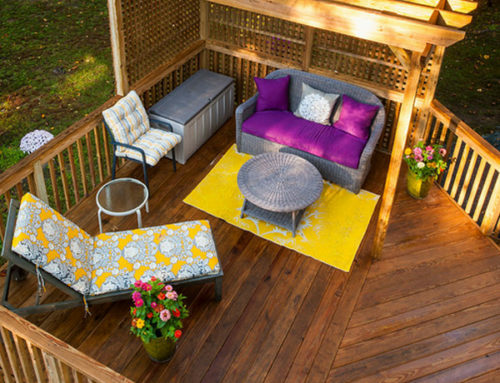 ft., small patches of grass that are not expensive to seed, a gazebo, a fancy grill (it’s up to you how much you spend) and some outdoor furniture that can be bought cheap from IKEA. 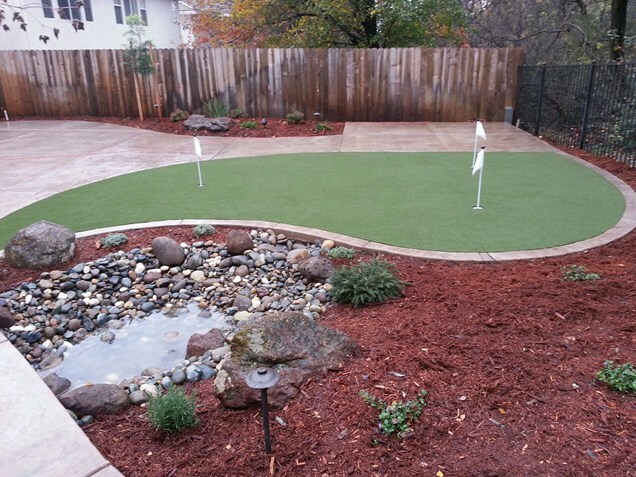 If you opt for synthetic grass, you will pay at least $12 per sq. ft. This design is affordable to install and adds something special to your yard. The rock appears to be some kind of siltstone or travertine which you can find for $5 per sq. ft. The sprinklers will cost you most because you need someone to install them so that you create the puddle. The river rocks are sold for as little as $0.05 per pound whereas the larger ones are available for around $50 at Home Depot. 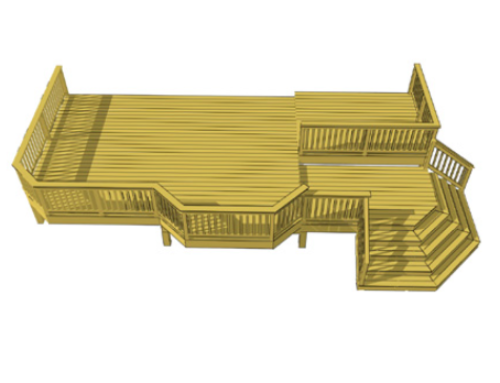 The average price to build a deck smaller than 200 sq. ft. is between $4,500 to $5,500. The plants are going to cost you a lot given the fact that they don’t seem local and come with those long pots. You can buy some small potted plants for $20 a piece from IKEA but the trees are more expensive. 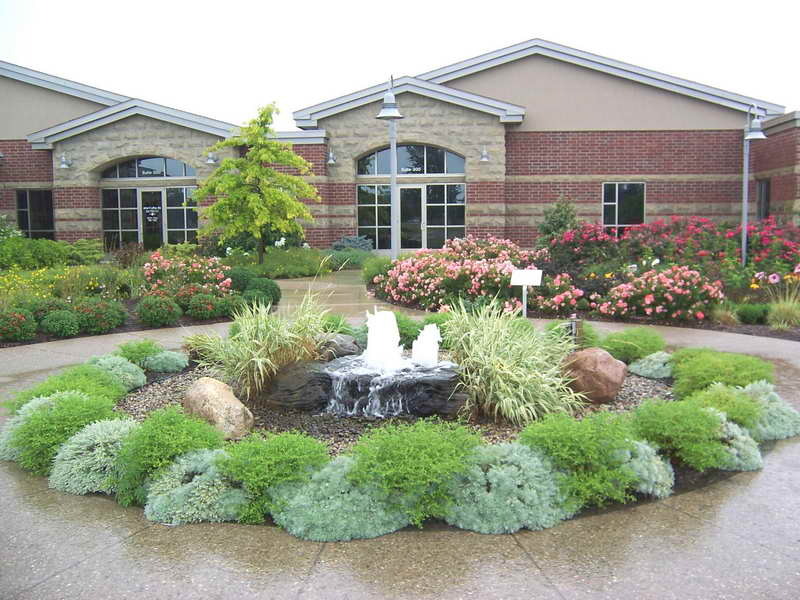 A professional landscaper can bring the plants so you don’t have to worry about it anymore. 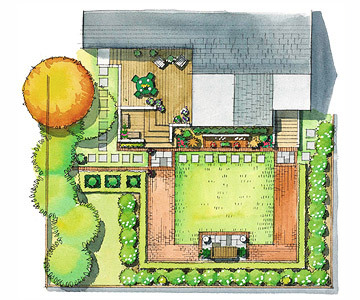 This beautiful landscape design is perfect for people with big yards. 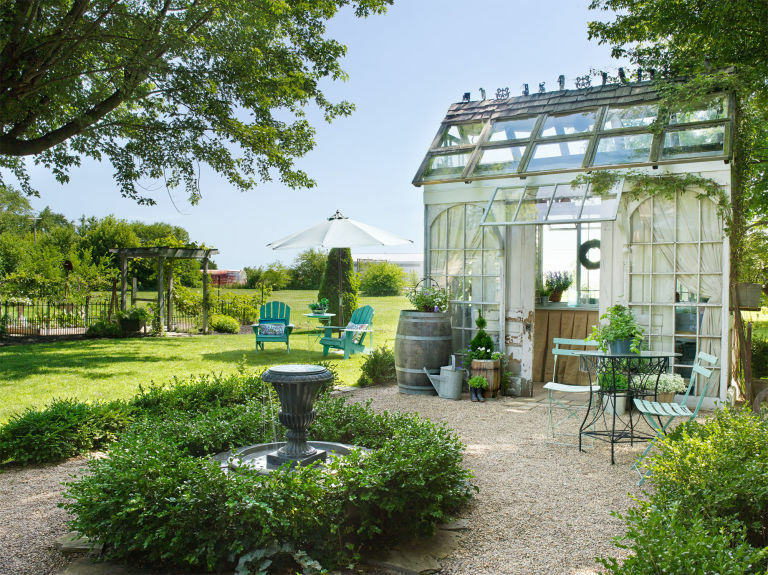 The shed gives you extra storage space and it can also be used as a greenhouse (see the glass on the roof). The plan for the shed is simple, so it won’t cost you a lot. The actual construction cost of the shed might be up to $2000. The small fountain is available at IKEA for $100-$200 and you can buy the gazebo on eBay for several hundreds of dollars. There is one more problem here though. 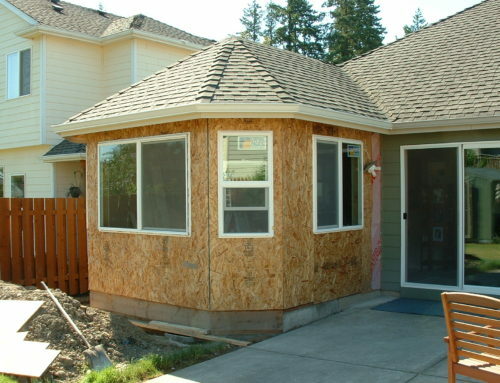 You might need a permit to build that shed and in order to obtain it, you first have to submit a site plan. Luckily, 24hplans.com provides exactly what you need: affordable and accurate plot plans with a quick turnaround time. 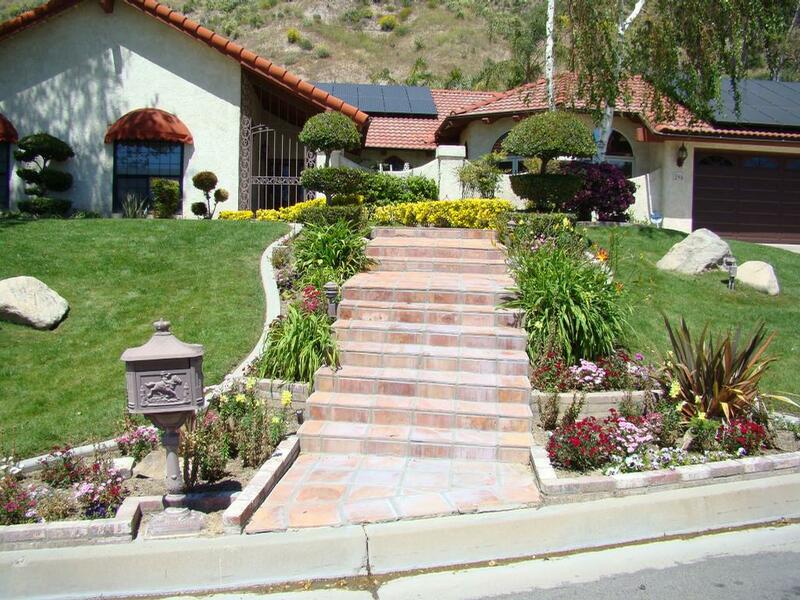 Provided that the ground is not flat, professionals can make such steps even if your yard doesn’t come with them. It is a cheap method to embellish the walkway to your house. The flowers are the main concern here in terms of price and maintenance. It will be all wroth it if you just imagine smelling their perfume on a Sunday afternoon. This is perhaps the cheapest thing you can do to get an astonishing front yard. You don’t need expensive flowers, regular colorful ones will be just fine. You don’t even need to hire a landscape architect for this. Some DIY garden tips will suffice. You may not get it right the first time, but nobody was born wise and skilled. 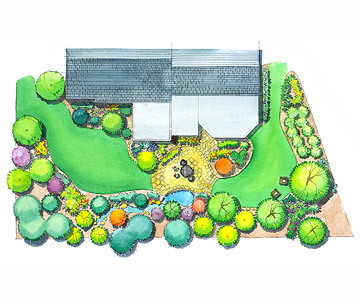 This plan suits people who don’t want a bunch of plants in their yards. A few trees that make some shadow on the margin give you a place to stay on hot summer days. You can read, work or sleep like they used to back in the day. The deck leads to a patio and a lawn. All these landscape elements make an actually pretty simple design. This plan will cost you a bit more than the previous one given its complexity. The pathway made of rocks connects the two patios and adds some curves to the rectangle shaped lawn. You have a place to dine, a place to sit and talk with your friends (the small patio on the right side), and a beautiful garden. The main costs here are the plants and paving materials. Have you ever felt you just need a break from everything? Sometimes, you don’t want to talk to anyone, you just want to be alone. Most people have to go high in the mountains for this kind of privacy, but not the person who installs this landscape design. There are a lot of trees and bushes to protect you from the wary eyes of your neighbors. There’s a lot of green to soothe your mind and recharge your batteries. 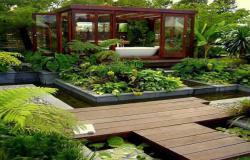 The average cost of creating a naturalistic garden is $11 per sq. ft. 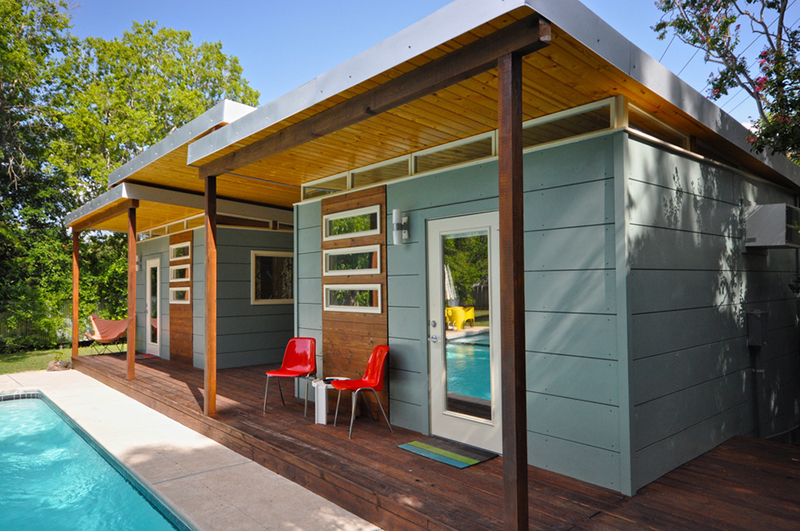 This means that if you have a 50×50-foot yard, you will be paying $27,500. This privacy is quite expensive it seems. However, if you have a $450,000 house, the price of the garden does not seem so high, does it? This is a quite expensive home improvement project that also requires a lot of your time and energy. Only professionals can install something like this. 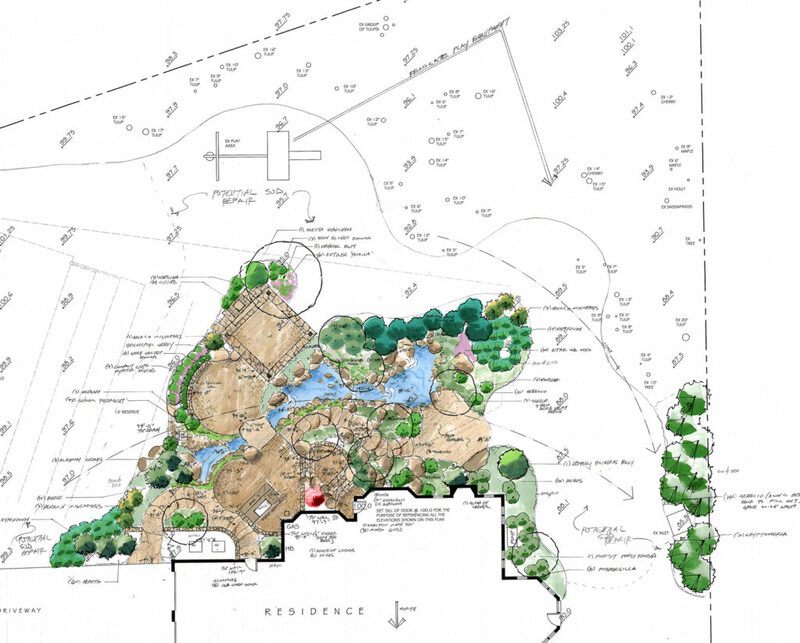 The patio and the deck are no big deal, but the pond requires skilled landscape contractors, not to mention the trees that need to be bought and planted. 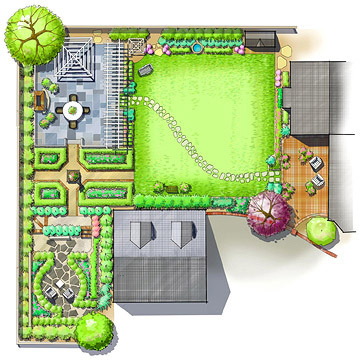 The average price paid to a landscape designer is $5,000. It looks great but there’s a lot of work involved. You may actually need a permit to build something like this. The architects, designers and plot plan drafters from 24hplans.com can help you again. It’s like you have a little oasis in the middle of your house. Expect to pay many thousands of dollars for a project this big. 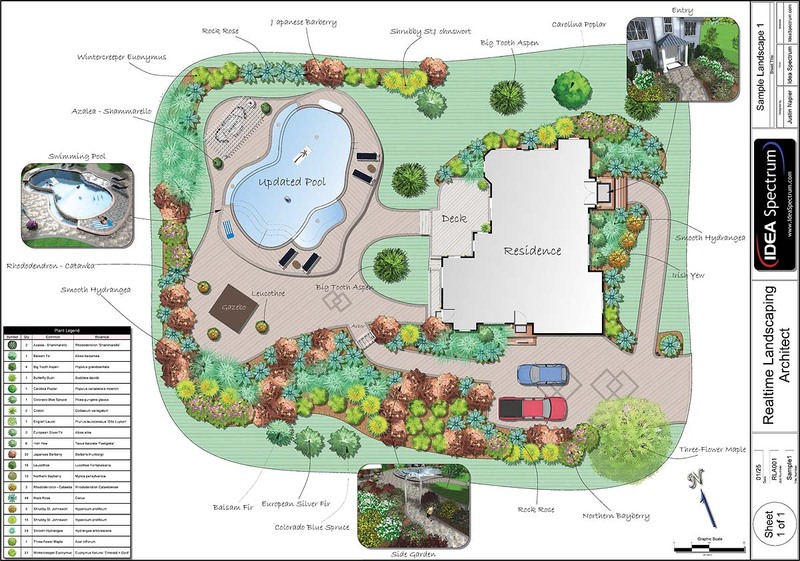 You have to take into account the costs related to the landscape plan, labor and materials. High-end architects can charge as much as 20% of the total value of the project. Prices for the detailed plan of a complex project vary between $6,000 and $16,000. This plan can be implemented on a large property. Notice the big driveway next to a quite large area of vegetation. The pool is the main point of interest in the landscape and it also represents the main cost especially if you want a big concrete pool. A large gunite pool can cost as much as $100,000, but they are not cost efficient in the long term. For example, the average maintenance cost for a concrete pool is $27,400 compared to $11,500 for a vinyl pool or $3,750 for a fiberglass pool. You may think this is seen only in the back of very large mansions with thousands of sq. ft. of land in the surroundings. Actually, the sizes of this design can be adjusted to moderately big houses. You might have to give up on the walls or the steps, but you can definitely have a beautiful spa carved in stone. The stone is what’s going to cost most here if we overlook the labor price. If you can afford this design, it’s definitely worth the price. Just think about the wild parties you will throw around that hot tub. 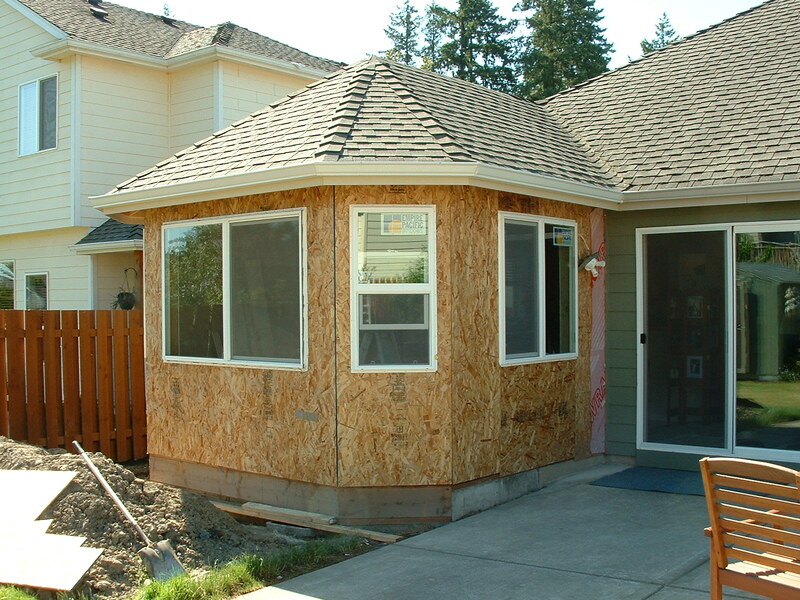 In order to make such big adjustments to your property, you most likely need a permit. Make sure to ask for the help of the 24hplans.com team when you need a site plan. 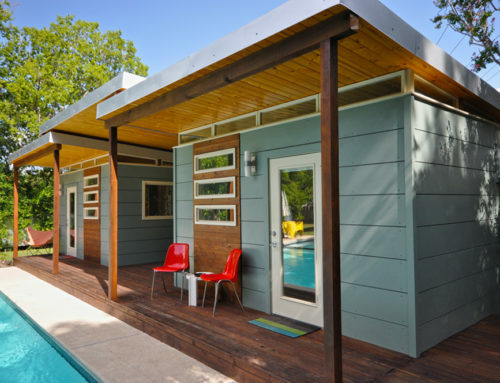 As for the design itself, the shed is the main attraction and luckily it’s not hard, nor expensive to build. You don’t even need much wood since the walls are made of glass. 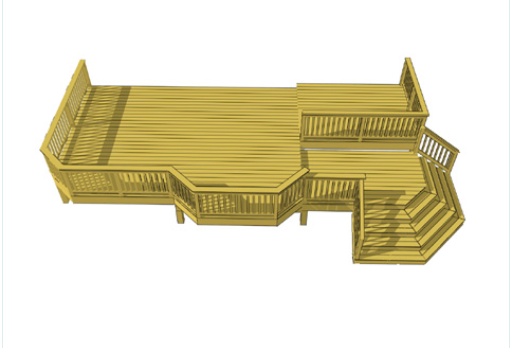 The water beneath the deck, however, makes this design difficult to install, and of course, expensive. This landscape is perfect for people who enjoy taking care of plants because the maintenance of this garden is going to take time and money. 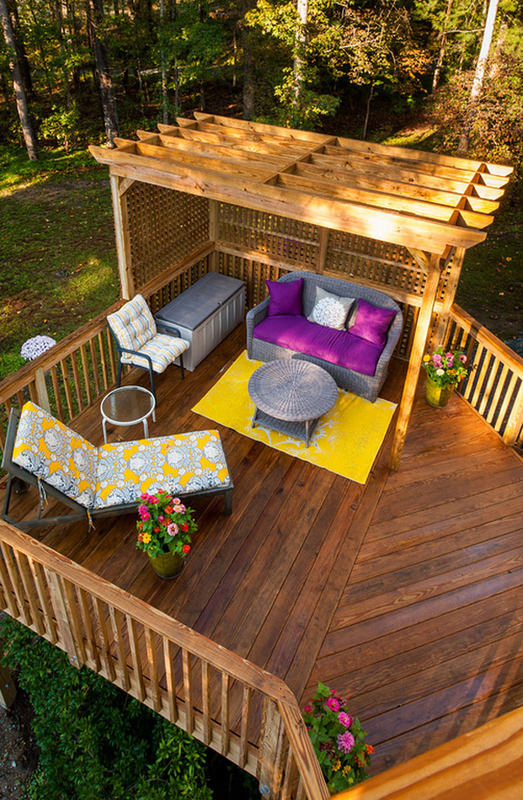 Easy and affordable, this design fits any yard. You need a small amount of stone for the pathway and some small trees and plants to create a lighter feel. 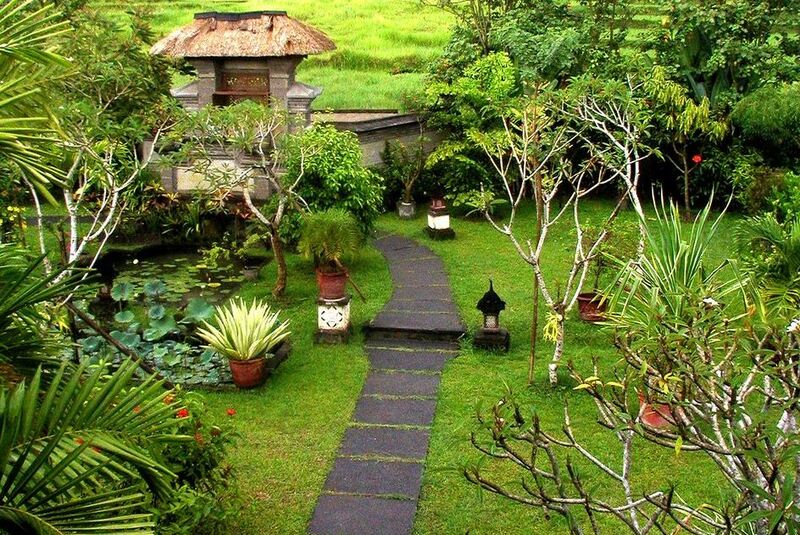 The small pond you see to the left is not mandatory but it will certainly set your yard apart from others. The lights on the ground throw you back to the medieval times. 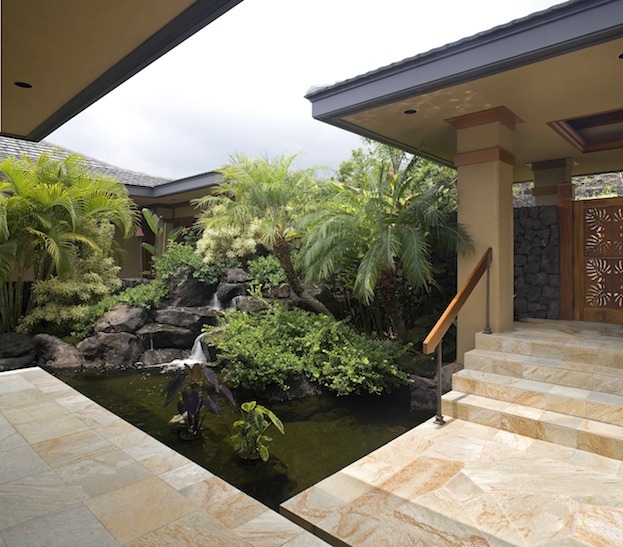 The water fountain is the tricky element of this landscape design. The plants are ordinary, therefore not expensive. You will need a few bags of small river rocks to surround the fountain and a couple big rocks to make it interesting. You can use several materials for the patio, such natural stone, stained concrete, dry-laid flagstone or even brick. I would stay away from gravel considering the river rocks in the middle. Is your house located on higher ground than the street? 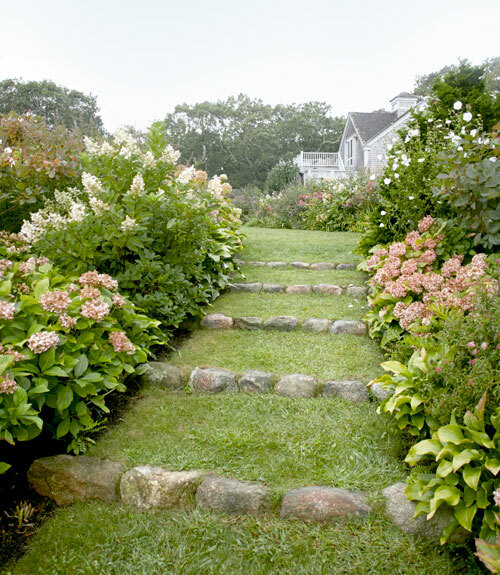 Then, what better ways to use this than by adding some steps flanked by beautiful flowers? The big rocks you see in the image look like the water came and left them there. You will need some concrete to make the steps and some stone to lay on top of the concrete. Add the old mailbox and you will have a unique design. 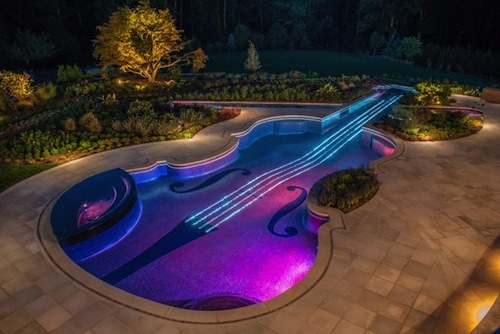 You have probably noticed that the main element of this landscape design is the violin shape of the pool. The plants you see in the distance and the patio surrounding the pool are not as interesting as the pool. Be prepared to pay big money for this pool and for the lights that make the water look like that in the evening. Whoever designed this landscape design took care even of a tiny detail like the violin bow. Although it may not seem like much, this landscape is one of the most versatile designs. It can be adjusted to any yard size and it combines the hard feel of the plant pots and patio with the soothing feel of the green. If you are out of ideas and have a small budget, this design will make your house look modern thanks to its minimalist features. You can even eliminate the patio altogether to reduce its harsh look. This landscape is inspired by a chess board, the green patches representing the black tiles. 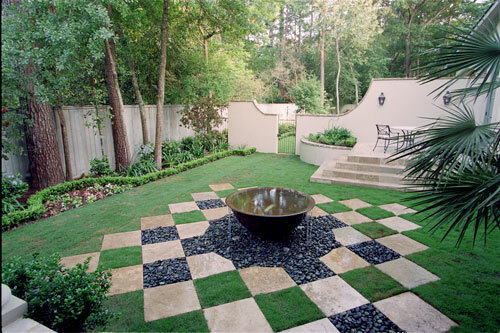 You can make it even more interesting by extending the pattern to the whole yard and adding huge chess figures. The middle piece would have to be removed in that case. 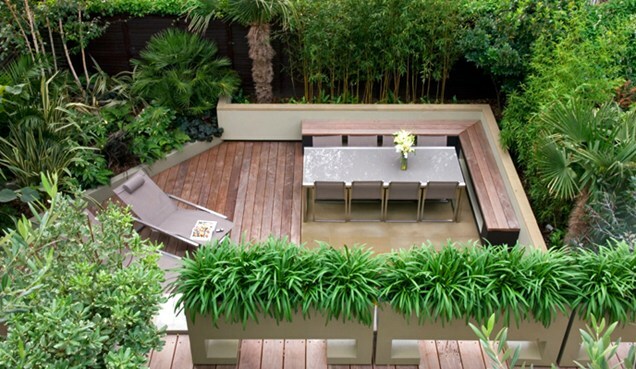 The deck in the background is perfect for outdoor furniture. If you have some more space you could actually add a big umbrella or a gazebo to shelter you from the rain and the hot sun. All the above 20 designs will make your house look better and will consequently be worth more money. 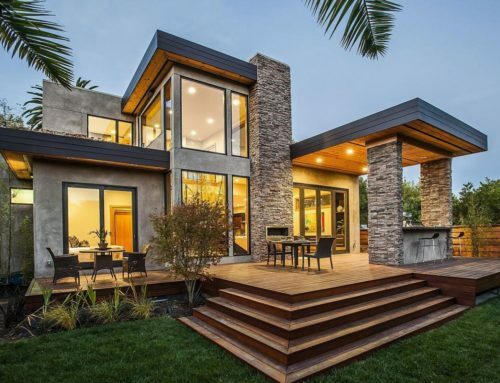 It is important to estimate the costs of a home improvement project before diving right in, which is why we gave you some estimates for the most important landscape design elements. 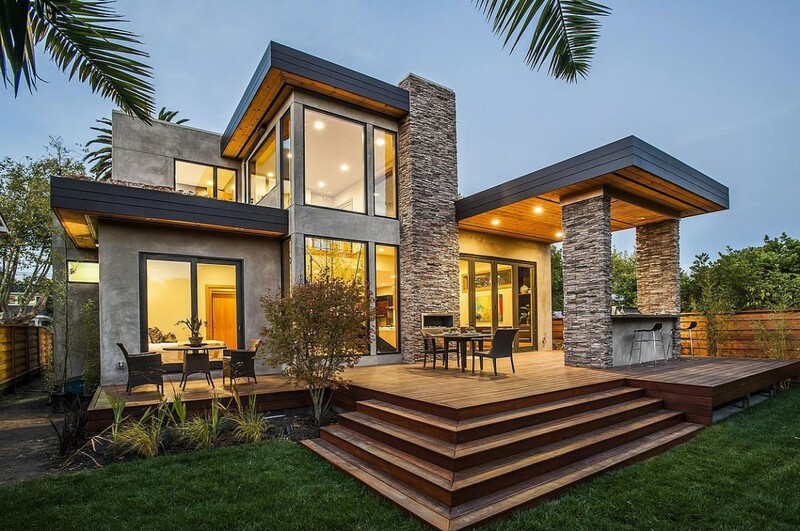 If you are aiming for a major alteration of your yard, don’t forget to contact 24hplans.com for a professional site plan that you attach to your permit application. They are proficient, trust-worthy, and they always get the job done as expected.